Wasteking approached me to develop an Access Database system to replace their current method of working which involved the use of Excel spreadsheets. The system starts at a main menu where the users can select the operation they wish to undertake. 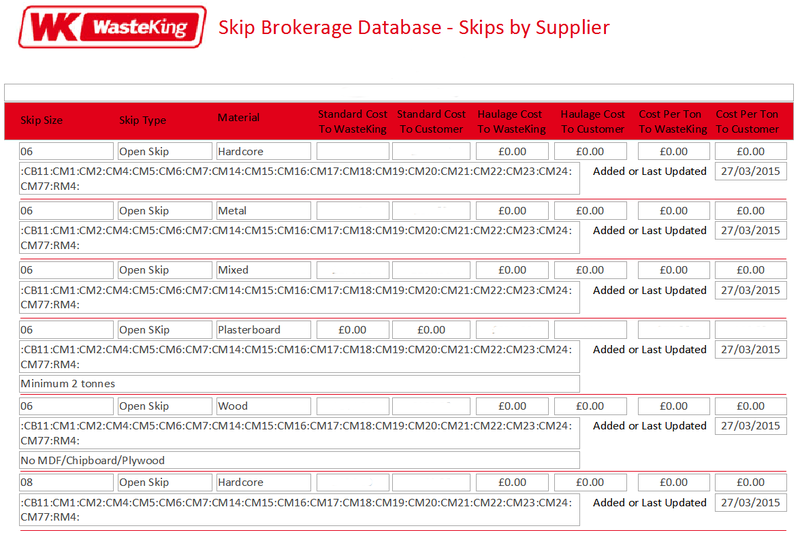 Searching for skips is easy, enter the customers address, optionally select Size, Type and Material and the system will display skips available with costs and suppliers details. 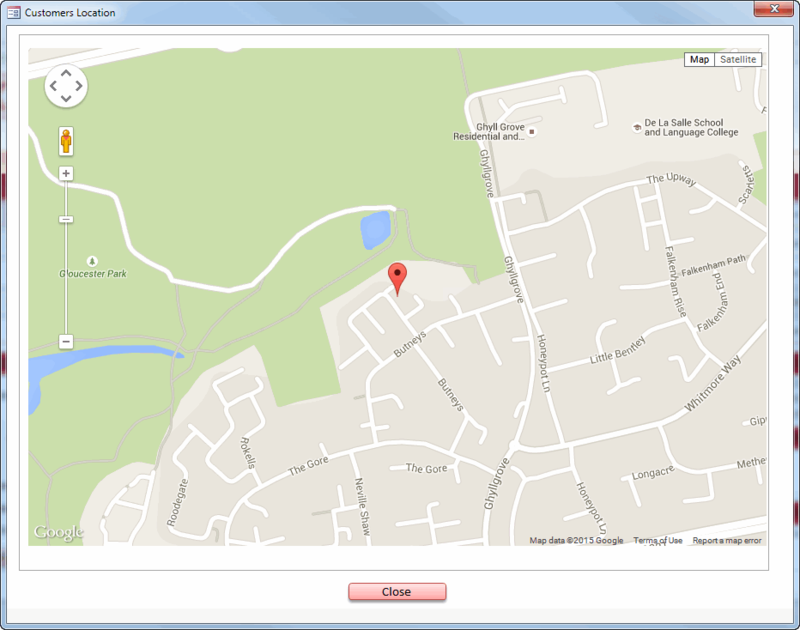 By clicking on the View Map button a map of the customers location is displayed. 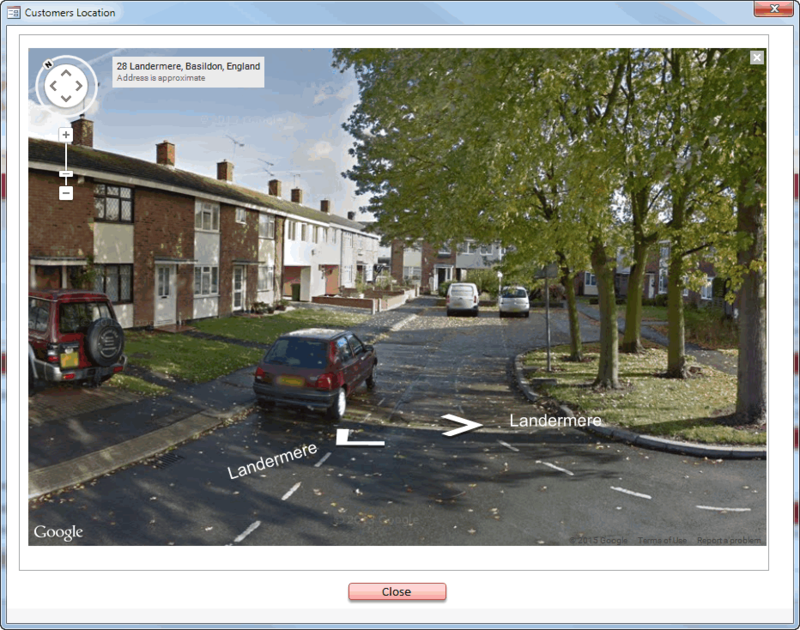 The user can select to see a streetview of the customers location to check for any obstacles which may affect delivery. 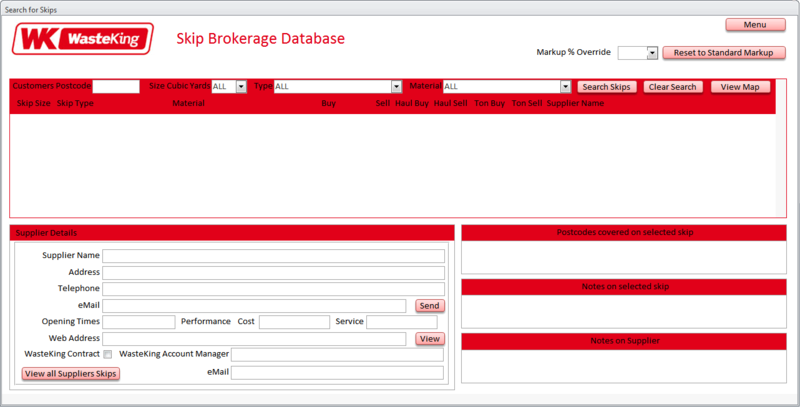 The system alos provides comprehensive reporting facilities.